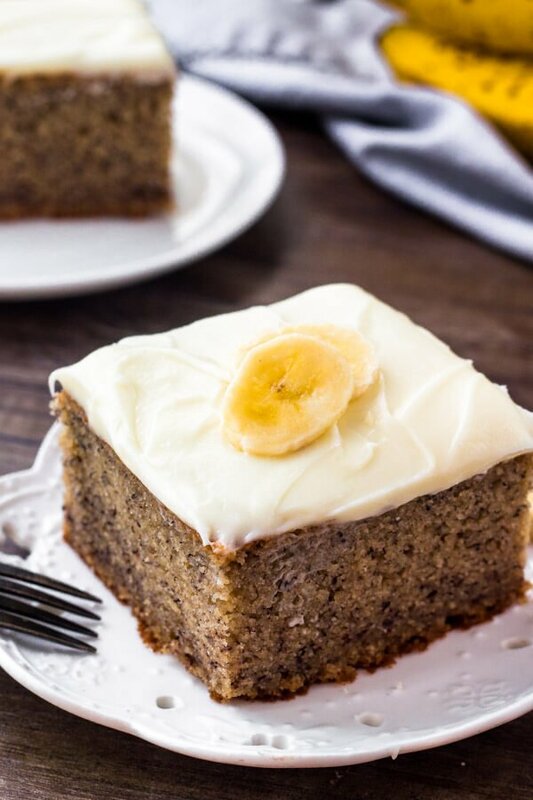 This easy banana cake recipe is the absolute best banana cake you’ll ever try. 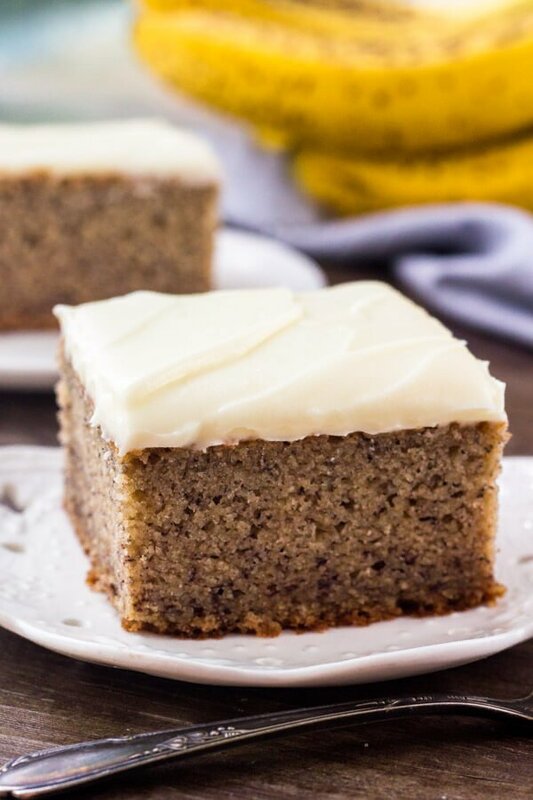 It’s moist and fluffy, big on banana flavor, and topped with a generous layer of cream cheese frosting. 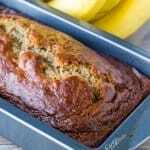 If you’ve got a bunch of brown bananas lying around – then I highly recommend you skip the banana bread and make this moist banana cake instead. 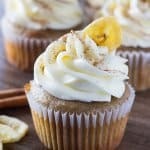 It’s so tender, infused with banana flavor, and has a delicious hint of cinnamon. 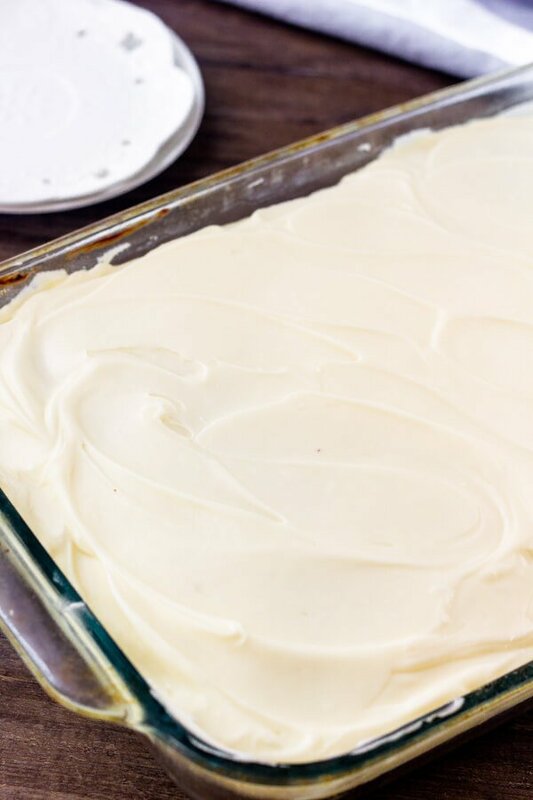 Then a layer of fluffy cream cheese icing gets slathered on top for the most delicious dessert or mid-afternoon pick me up. What’s even better is that the recipe is simple and straightforward to make. 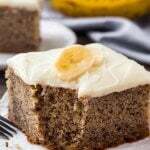 There are no fancy ingredients, no risk of toppling cake layers, but you end up with the most delicious banana cake around. bananas for even more moisture. The acidity from the lemon juice makes the cake so soft and tender. And I definitely recommend using whole milk or 2% milk for more moisture. 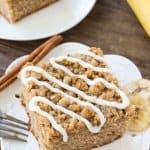 Then the banana cake gets it’s flavor from a few key ingredients: brown bananas, a combo of brown sugar & white sugar, vanilla extract, and a little cinnamon. I love adding a little brown sugar for more depth of flavor, and the hint of cinnamon is delicious without being overwhelming. Place your bananas (peel on) on a cookie sheet. Bake for about 20 minutes or until they look brown. They won’t be spotty, but they’ll brown up so that they’re sweeter. 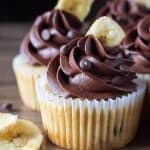 Use brown, spotty bananas for the most flavor and to ensure your cake is deliciously moist. Yellow bananas won’t cut it. The butter, eggs & milk should be room temperature before getting started. This ensures everything mixes together evenly without over mixing. Be careful not to add too much flour, or else the cake will be dry and crumbly. Before measuring the flour give it a whisk, then carefully spoon it into a dry measuring cup and level off the top. Don’t over mix the batter. Otherwise it can get tough. Use full-fat, brick-style cream cheese for the frosting so that it’s thick & creamy. 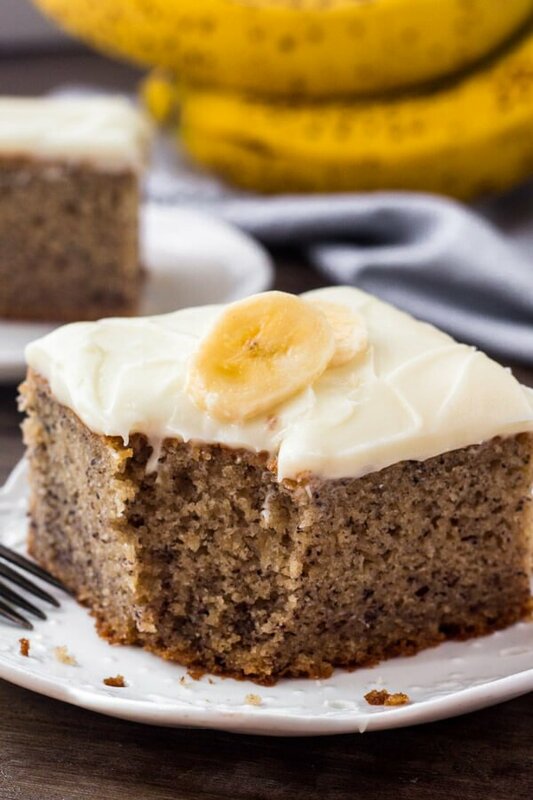 This easy banana cake recipe is the absolute best banana cake you'll ever try. 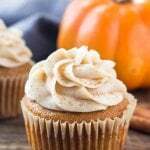 It's moist and fluffy, big on banana flavor, and topped with a generous layer of cream cheese frosting. Add the lemon juice to the milk. Allow to sour for at least 5 minutes before using. In a medium bowl whisk together the flour, cinnamon, baking soda and salt. In a large bowl beat together the butter and sugars until fluffy (about 2-3 minutes). Beat in the vanilla and eggs 1 at a time. Then mix in the mashed bananas. Beat in the flour mixture about 1/3 at a time, alternating with about 1/3 of the milk. Turn off the mixer and scrape down the sides of the bowl as necessary. Only mix the batter until just combined. Pour the batter into the prepared pan and bake for 40-50 minutes, or until an inserted toothpick comes out clean. In a large bowl, beat the butter until fluffy. Beat in the cream cheese. With the mixer on low speed beat in the salt and 2 1/2 cups powdered sugar. If the frosting isn't quite sweet enough or thick enough, slowly beat in the rest of the powdered sugar. If it's too thick or a little too sweet, mix in the cream. Frost the cooled cake and slice into pieces. *Unfrosted cake can be wrapped tightly and frozen for up to 2 months. Thaw in the fridge. **Store leftovers in an airtight container at room temperature for up to 3 days, or in the fridge if your kitchen is warm.